Before i get started I want to remind you guys that the ongoing International giveaway ends on august 19th 2013 so if you haven’t entered already, you can enter HERE. I am in love with selena gomez’s new video slow down! I just love the song by itself and now the video seems interesting. The makeup looks in slow down music video are following her neutral eye and red lip combo from her music video come and get it but since the look I did from that video was a bronzy Smokey eye, I decided to do the retro neutral look today. If your wonder this is the scene where she is in the car. Looking at the entire look I see a lot of highlight and shimmer so you might need to whoop out your best highlighters and your best red lipstick. Let’s get started with the look! In order to get a shimmery base you need to apply a creamy beige cream shadow on the entire lid area I’m using an elf all over colourstick. Apply a mix of a light beige and bronze shade (both shimmery to the entire lid where we applied the shimmer base). Using a matte brown I’m tracing my outer v area using a pencil brush but instead of drawing a V, I’m drawing a U shape. Im using a clean fluffy blending brush here to diffuse the shade. Im going in again deepening the outer are with a black eye shadow . Using a shimmery beige I’m highlighting the inner corners and brow bone. 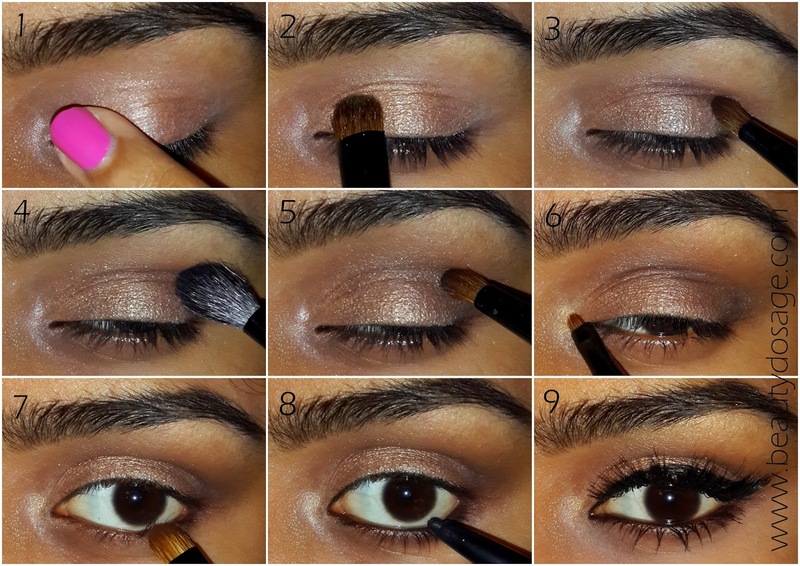 Using the a mixture of the black shade and bronze, and applying onto the outer third of the lower lash line. Here I’m using a pencil liner and lining my waterline and tight lining too. I have drawn a classic wing for this look and have also used good two coats of mascara and added a pair or ardell wispies. A retro makeup look involves shimmer beige shades on the lids, a contoured crease and winged liner and is combined with rosy or earth toned blush and a good cool toned red lip. However if you’re a girl with warm undertones you might have to go with a warm red lip. In this video selena has lots of highlighter so depending if you have dry skin or oily, you can choose a liquid or powder highlighter. Your look is now complete! You make it look so easy and you work to perfection Jeeshan...loved it! love this look! super glamorous! great tutorial for her make-up! !